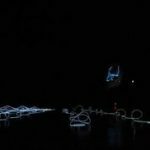 In MINDSCAPE, the performer interacts with a light structure made by electroluminescent (EL) wires and sound via an EEG (Electroencephalogram) interface, which measures her brain waves, which create and control the light and sonic environment. EL cables glare when applied to an alternating current (AC). 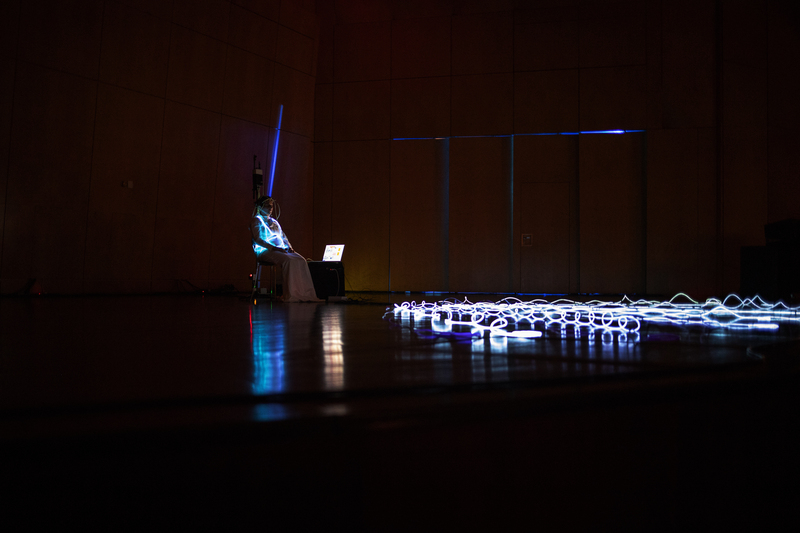 Once the AC has been activated, the data from the performer’s brain waves (via an EEG interface) takes control of the cables’ activation in different tempos. 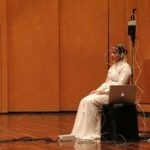 The sound section consists of a surround (quadrophonic) soundscape, which changes depending on the information coming from the EEG. 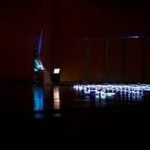 MINDSCAPE performance from Claudia Robles-Angel on Vimeo.